My aim as a mother and a professional photographer is to create an experience you’ll never forget for each and every one of my clients and their families. I love to meet my clients before they book their portrait session so that we can work together to create timeless portraits that you will treasure forever and your children’s children will treasure. 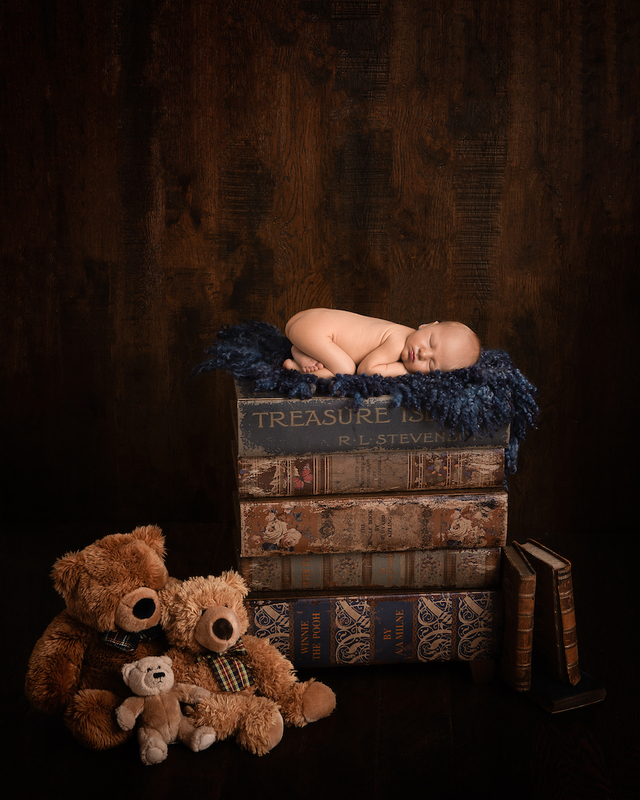 Just after the 20 week scan is a great time to think about booking a session for a newborn. Not everyone wants their images on the internet so we have an extensive portfolio in the studio for you see before you decide, you can then go away and decide if I am the right person to capture this special time for you. I only do three portrait sessions per week, Tuesday, Wednesday & Thursday at 1pm Saturday afternoon on request. These Portrait Sessions can be done in the studio or out on location, as I think toddlers feel less restricted running around outside. Once your session is secured then it’s yours no matter, if baby is early or late, or the weather isn’t kind we just reschedule, this low volume in sessions ensures I can work behind the scenes making your portraits special and perfect for you to cherish these beautiful memories forever. Why trust me with your precious new baby? I continue to grow study and learn in this specialised genre ensuring you have the upmost faith in me to protect your child from any danger and pose your baby comfortably and safely, sometimes having to do a little magic in post production afterwards. They are little people and are all different. If your baby doesn’t like a certain pose and isn’t comfortable then I will move on to the next pose.